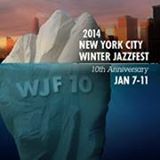 New York’s Winter Jazzfest opens a five-day run tomorrow, celebrating its tenth year featuring musicians who operate on the leading edge of the music. The atmosphere of adventurism does not necessarily indicate that the artists are all young revolutionaries. Among the dozens of seasoned players appearing in clubs and concert halls throughout Manhattan will be Gary Bartz, Craig Handy, Miguel Zenon Don Byron, Matt Wilson and Jason Moran. For their Wednesday Town Hall concert, Moran and fellow pianist Robert Glasper plan a four-hand tribute to the 75th anniversary of the Blue Note label’s first recording session, which featured Albert Ammons and Meade Lux Lewis. Relatively new jazz scene arrivals playing the festival include Darcy James Argue’s big band, guitarist Mary Halvorson, singer Gretchen Parlato, saxophonist Sharel Cassity, pianist Aruan Ortiz and a vocal ensemble called Roomful Of Teeth, which ties with the band Mostly Other People Do The Killing in the festival’s intriguing-name sweepstakes. At post time, the festival’s website listed one hundred groups. To see a schedule and lists of performers and locations, go here. New York is the still the jazz capital of the world. For residents of the Apple or visitors, this looks like a splendidif exhaustingway to survey the state of the music. The event is packed with young and youngish artists making waves that excite fans their ages and younger and frustrate many older listeners who have rigid convictions about what constitutes jazz. There is a wide range of musicians and styles, but the prevailing direction is forward, not back. In what may or may not serve as a preview of Mary Halvorson’s appearance at the Winter Jazzfest, here she is with her quintet in one of National Public Radio’s Tiny Desk concerts. Halvorson, guitar; Jonathan Finlayson, trumpet; Jon Irabagon, alto saxophone; John Hebert, bass; Ches Smith, drums. Forward? I think not. This is simply nonsense and someone needs to say so. This music is well nigh unlistenable. I understand why the young critics (of which young NPR’s young Patrick Jarenwattananon is a poster boy), eager to make a name for themselves, glom onto this garbage, but that does not change the fact that this music is without character, charm or feeling (not to mention melody, harmony or swing). I have a proposal: bring back the giants of jazz who made this music and ask them what they think, though you’ll have to stop them from spinning their graves first. Or, in the context of this blog, I’d like to ask Mr. Breitenfeld what he thinks. I’d bet a dram of his favorite scotch that he’d find this music repulsive.